Rob Gorsky's blog, Lost and Tired, provides a sincere insight into the world of parenting children with Autism. Rob has three kids, all on the Autism spectrum, and there are always ups and downs, to put it mildly. Lost and Tired is many things. It's a service for other parents of autistic children. 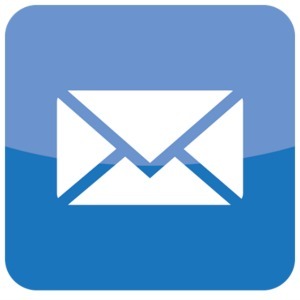 The Internet, at its best, is a place for people to realize they're not struggling alone, and Rob's blog is a place where other parents can find the missing words to express their own challenges and triumphs. The blog also seems to be an emotional outlet for Rob, who finds himself dealing with gradually more complex family issues. We all grow up thinking some things only happen to other people, and then they happen to us. Writing about the unexpected stuff helps us identify problems, and hopefully--well, if not solve them, at least come to terms with them. 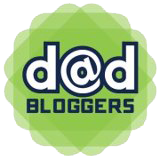 And the blog is also simply a great blog about fatherhood. I'm always looking for clear and honest voices of fatherhood, and Lost and Tired definitely belongs in that category. After 5 days in Seattle, we traveled to Portland for one day to visit relatives. The pace of life in Portland is, well, slower than the one in Seattle. 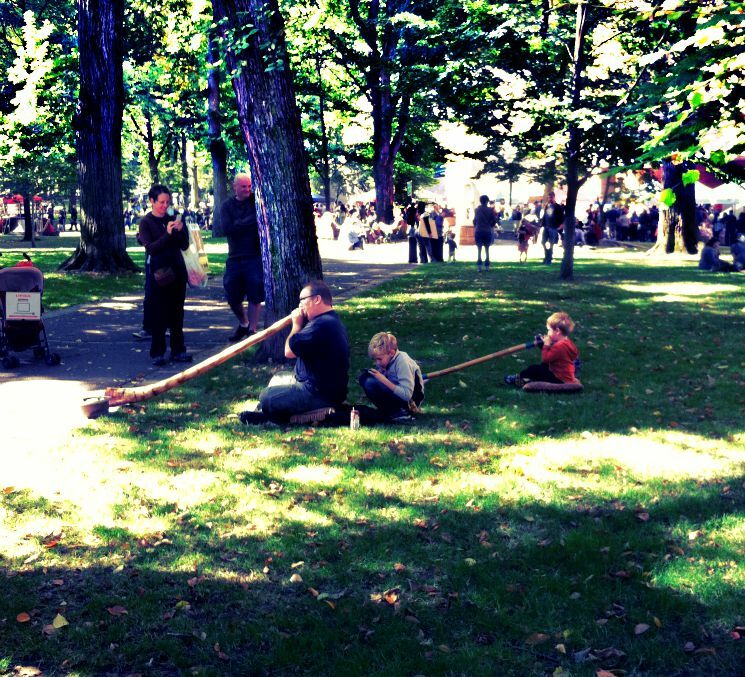 Here's a father and his two sons, playing didgeridoo in the park. 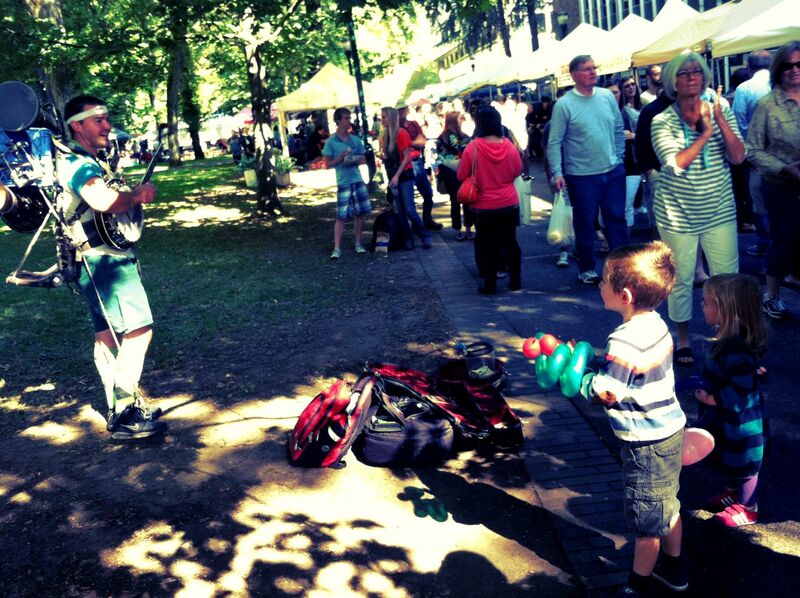 My kids are watching the most amazing invention since the pillow pet: the one-man-band. This is an elf village a retired psychologist built on his front yard. 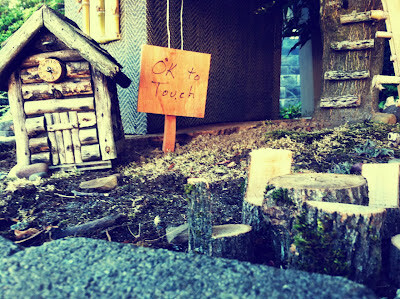 It's OK to touch everything in the village. My pre-kids self was more hipster than hipster. I was too cool to be a hipster. Or I was a hipster before it was cool. One of the two. Point is, I had pretty strict notions about what was considered cool and funny, and what should have been considered a sign of the downfall of civilization, and a call for our alien overlords to finish the job they had started when they wiped out the dinosaurs and the Mayans. In any case, it would have been safe to assume that "From the mouth of babes" type of literature would have been the first sign of the apocalypse. Now that I have kids and my identity is no longer defined by the need to find myself on the cultural supremacy ladder, I can open a book like Preschool Gems: Love, Death, Magic, and Other Surprising Treasures from the Mouths of Babes and enjoy the quotes by the children, even smile when I see the innocence, and the purity in the words. See, preschoolers are not just like adults, only less knowledgeable or less sophisticated. No, these kids are as complicated as us, only we're been conditioned to think within boundaries. We've been conditioned to make too much sense! And this is why a book like Preschool Gems is in fact not the beginning of the end of civilization, but the hope we need. There is a future for us after all, and I, for one, believe that children are our future. I put below some of my favorite quotes from the book, written by Leslie McCollom, a preschool teacher who didn't want these great words to be lost. Her Twitter account, @PreschoolGems, continues to collect gems as long as preschoolers continue creating them. "I saw a puddle in the shape of a heart and no one harmed me, so it was a good day." "My mom lived in the nineties." "Are you still fallen in love with me?" "This isn't like taxi drivers to paradise or something. You have to get on your own horse and ride." I've met Trey while browsing through Life of Dad posts. A little later, after chatting with him there, I found out he had a blog, so I headed over and found out about Holden, his son, who was born with a congenital heart defect. I don't think of myself as ever being able to deal with serious health problems affecting anyone I love, but no one is, I guess. Still, we do what we have to do, and as the video below shows, Trey and his wife have been doing a great job coping and helping their kid. Reading a recent blog post, it appears as though the worst part is behind them, but they're still very much involved with the CHD community. I've looked at Trey's Twitter feed, and some of the updates there are encouraging, while others are heart-breaking. Chances are, someone your friends or family might know might have just been told their child will be born with a CHD. We hope that this video has passed on the idea that there is a lot to be positive about during a tough situation. That positivity we’ve carried with us the last 10 months has been our GREATEST weapon. Five Pictures. Trip to Seattle Edition. I've mentioned before that my wife has started working in Seattle, which is a little far from Baltimore, or from any other civilized place. So I took the kids on a plane and headed over for a visit. The kids are not in the suitcase. Old School playground, with a merry-go-round! We went to another playground, where a mommy playgroup from Hell suddenly surrounded us, screaming to each other about who ate what solids and how far ahead or below the curve their toddlers were. We escaped and went for a walk on the beach. We went to the zoo, and took pictures of snow leopards. We went to the Space Needle and watched Seattle in all its glory. Now, this is actually a good story, so bear with me: We went all the way to the top of the observation tower, only to be surrounded by clouds. At this point, I had two options: I could tell the kids that we were unlucky, and that next time we were going to be in Seattle, we were going to go up later in the day, when the clouds disappear and we could actually see something. Instead, I bought a bag of M&Ms in the cafe, got us all a table, and said, "Isn't this great? When we go back to Baltimore, we'll be able to tell everyone we ate M&Ms INSIDE A CLOUD!" And now, whenever anyone asks them how their trip to Seattle was, the first thing they say is, "We ate M&Ms in a cloud!"